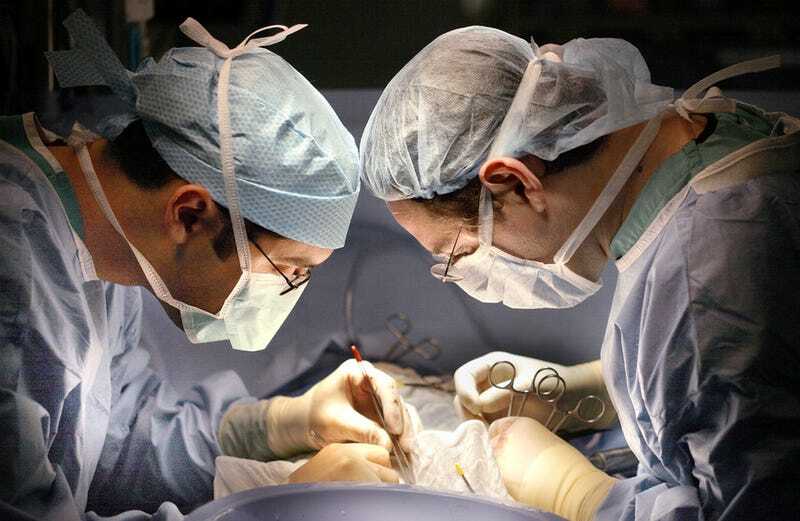 Physicians from Johns Hopkins Medicine have performed two landmark organ transplantations involving an HIV-positive liver and kidney. It’s a historic precedent that will do much to alleviate the ongoing organ shortage, while paving the way towards similar transplants involving other diseases. The doctors, who announced the surgeries yesterday, used organs donated by the family of an HIV-positive woman who died earlier this month. Her kidney and liver were successfully transplanted into two recipients, both of whom are HIV-positive. This ends a 25-year-stretch in which it was illegal in the US to use HIV-positive organs for transplants. The surgery involving the liver was a world’s first, while the kidney transplant was the first in the United States. Segev says that deceased HIV-positive patients represent an important new source of critically-needed organs for transplants. He estimates that 500 to 600 donors are available each year, which could save over a thousand lives. What’s more, these donations would do much to address the ongoing donor shortage in the United States; there are about 122,000 people on the transplant waiting list in the US at any given time, of which thousands die each year. The surgery was made possible with the passage of the HIV Organ Policy Equity Act of 2013 and the recent approval from the United Network for Organ Sharing. The policy reversal was motivated by recent advances in antiretroviral drugs and other therapies which have done much to lessen the toll of HIV/AIDS (though it’s important to point out that these therapies often cause liver or kidney failure). Furthermore, surgeons have developed techniques and protocols to make sure that the HIV virus doesn’t spread to the medical team. Future transplants could involve other organs, such as lungs, pancreas, and intestines. Moreover, this milestone could influence similar surgeries for patients infected with other communicable diseases, such as hepatitis C. And in fact, surgical teams from two different US universities are planning to use hep-C-infected kidneys for transplants later this year.